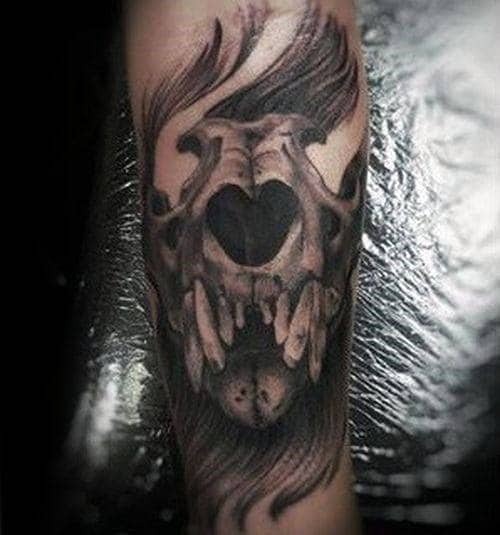 The skull of a lion is a deeply symbolic icon that weaves a complex tapestry of strength, wisdom, and death. 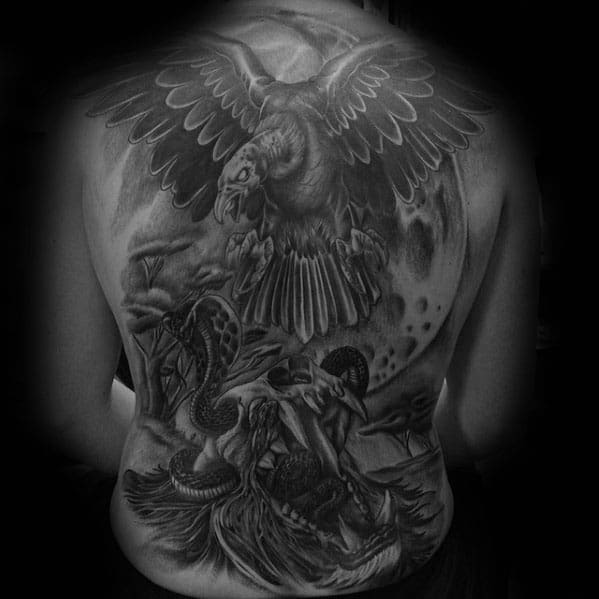 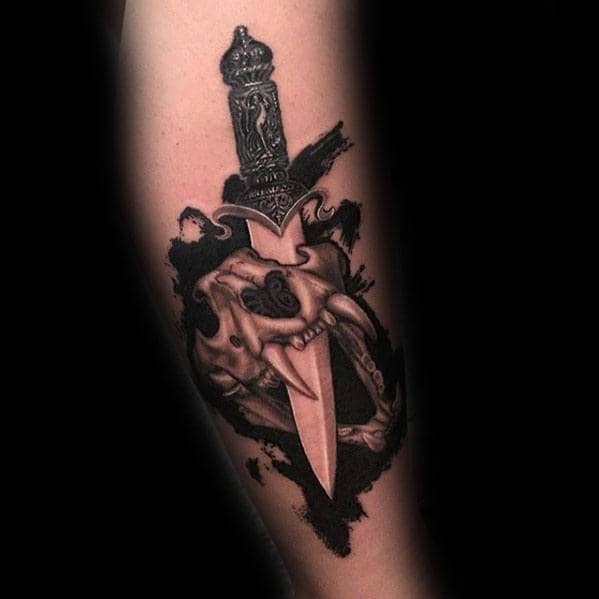 Its meaning is marred in the middle ground between life and its end, showcasing a depth of character that goes beyond the physical world. 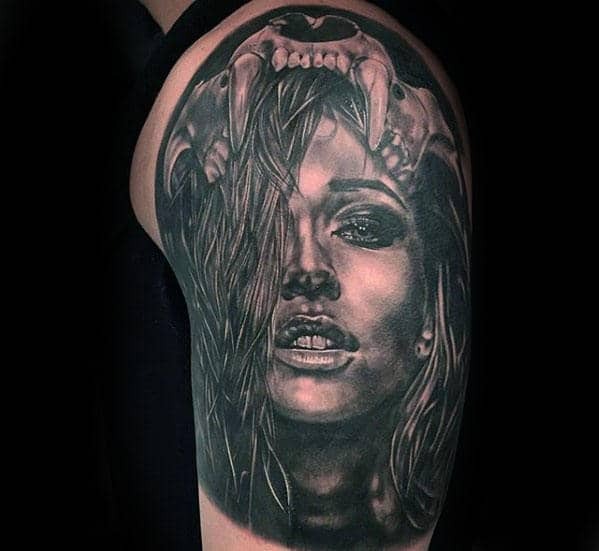 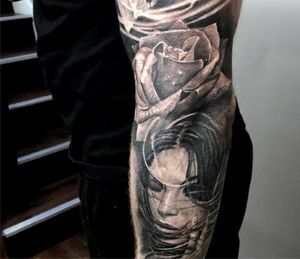 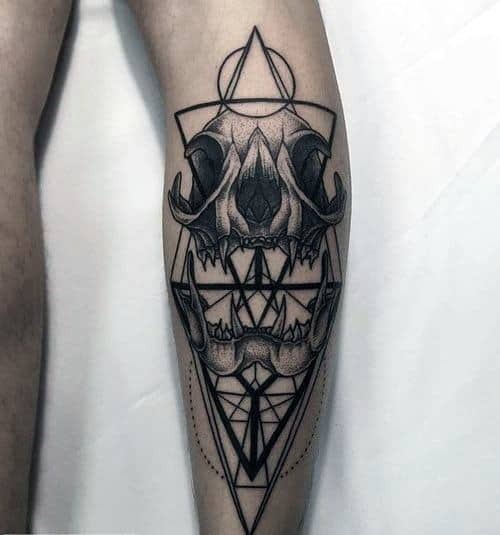 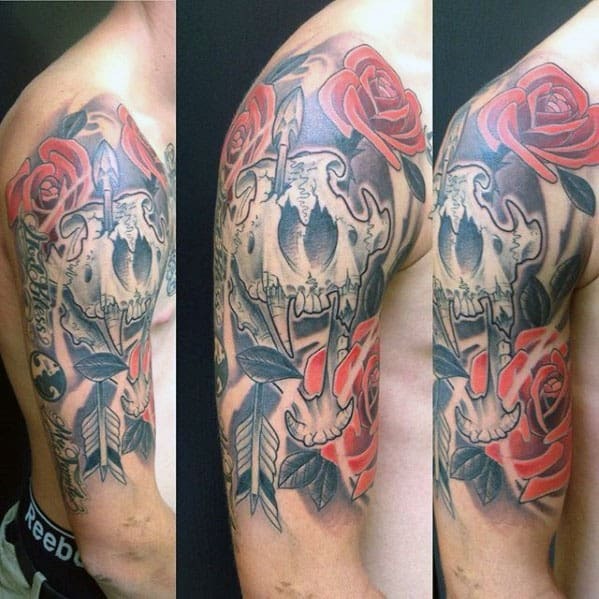 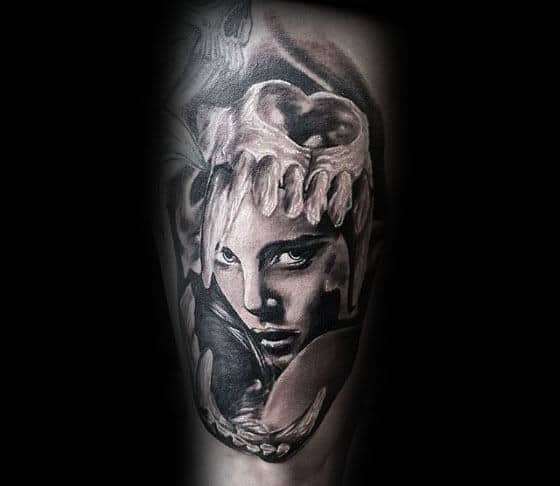 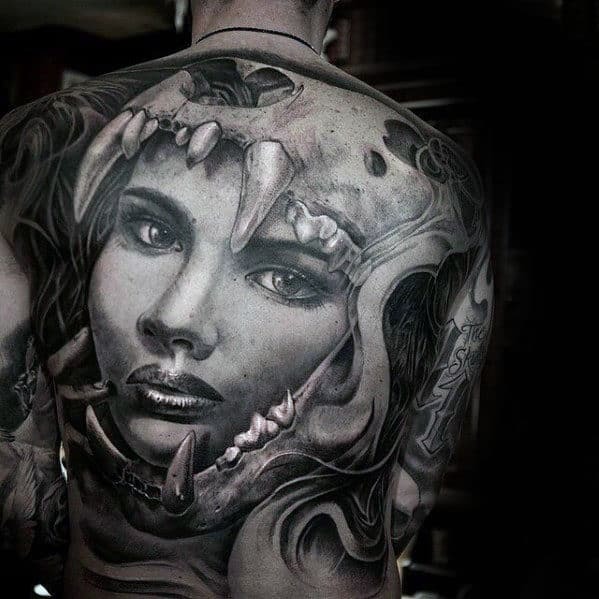 The skull is a classic tattoo subject for many reasons, but it’s the fact that such an image conjures immediate feelings of fragility and mortality that draws so many to it. 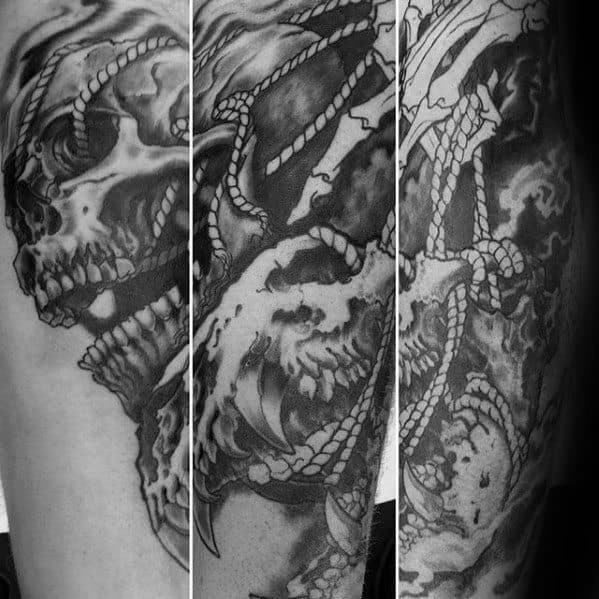 Skulls provide a reminder that while life is a journey, it does have its end. 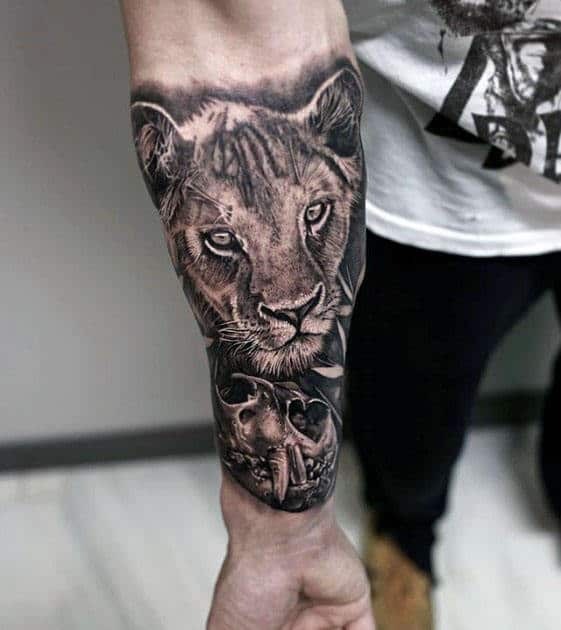 When you combine the skull imagery with the strength and leadership of the lion, you arrive at a uniquely polarized symbol that speaks to both death and the ultimate vitality. 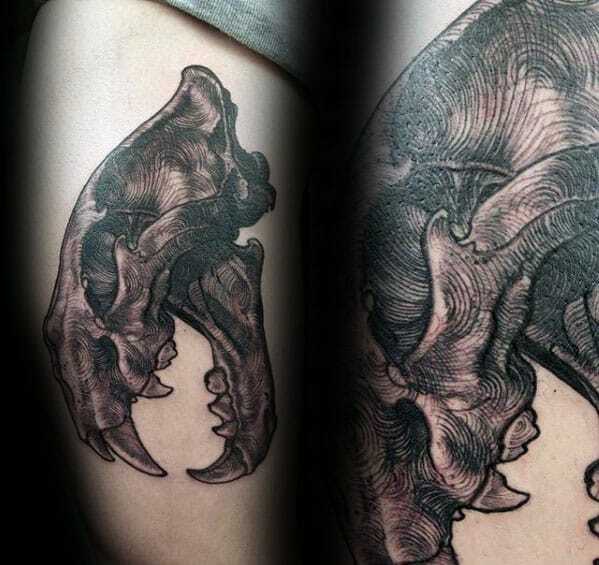 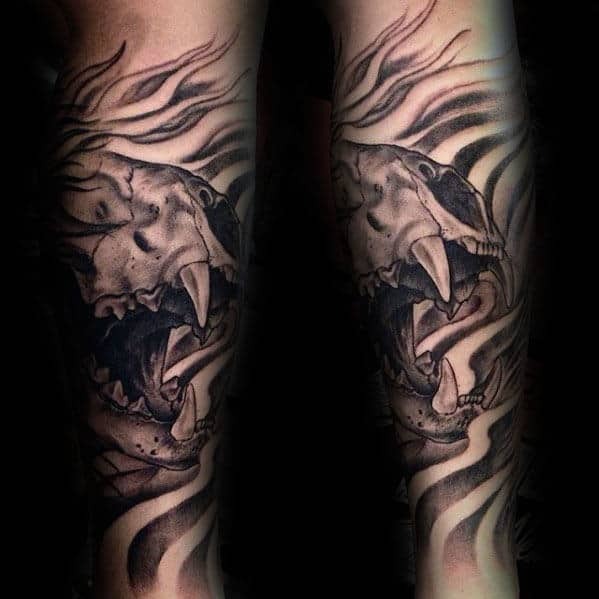 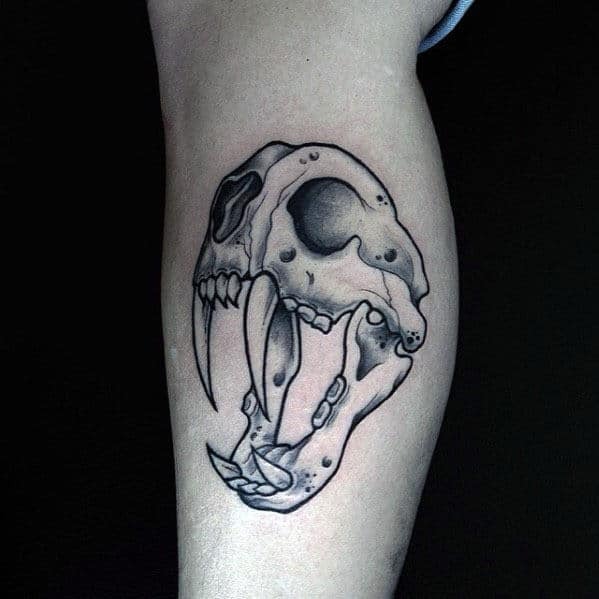 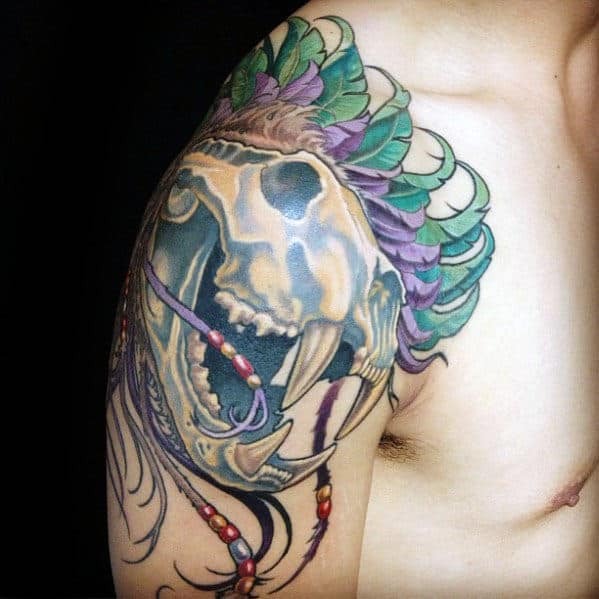 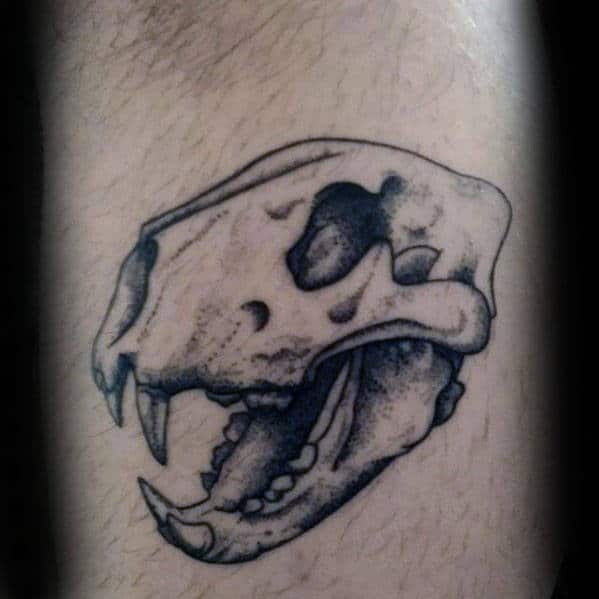 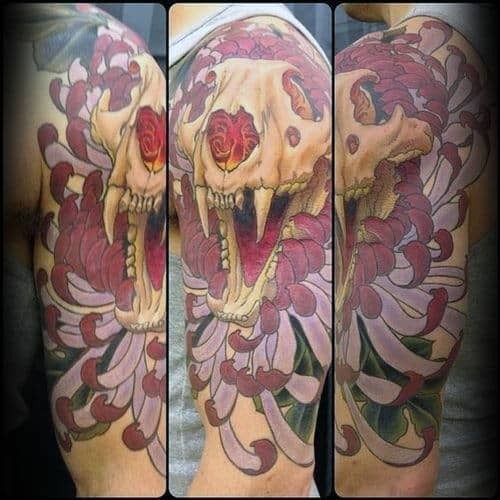 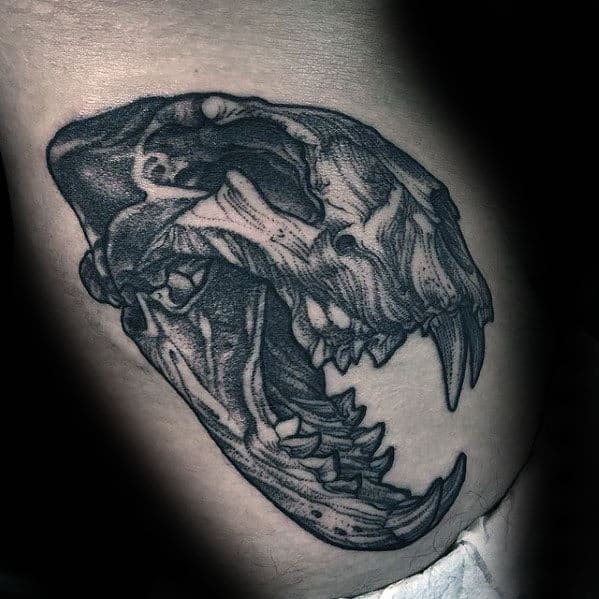 Many lion skull tattoos are depicted as if they’re in mid-roar, and that pose creates a fluidity to the stillness of the skull that would otherwise go unnoticed. 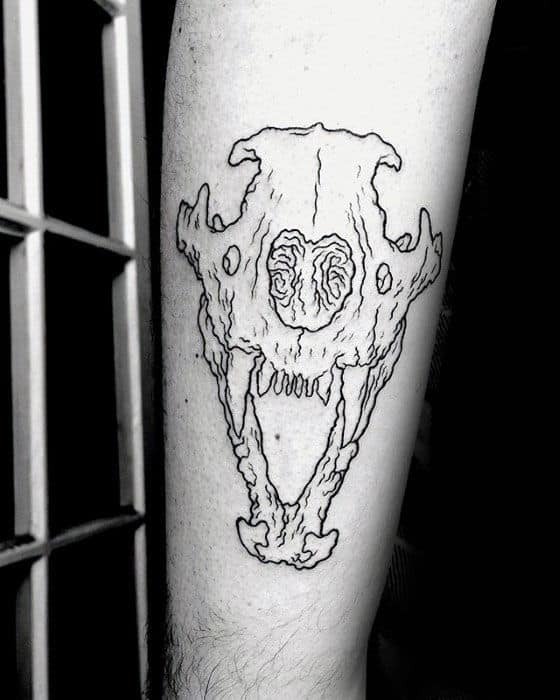 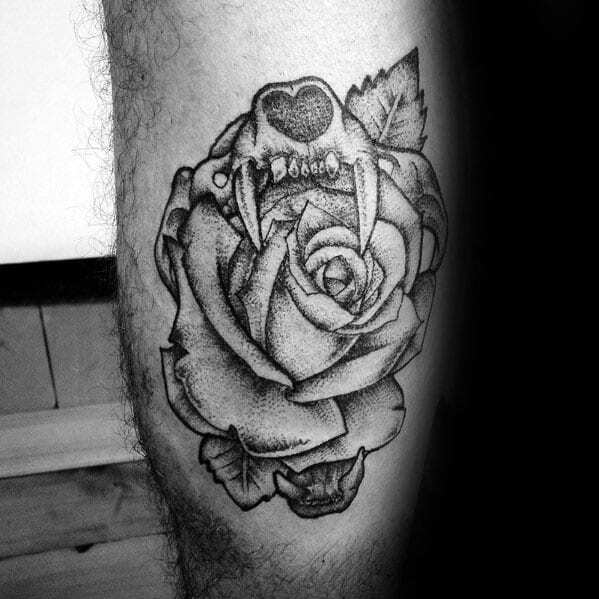 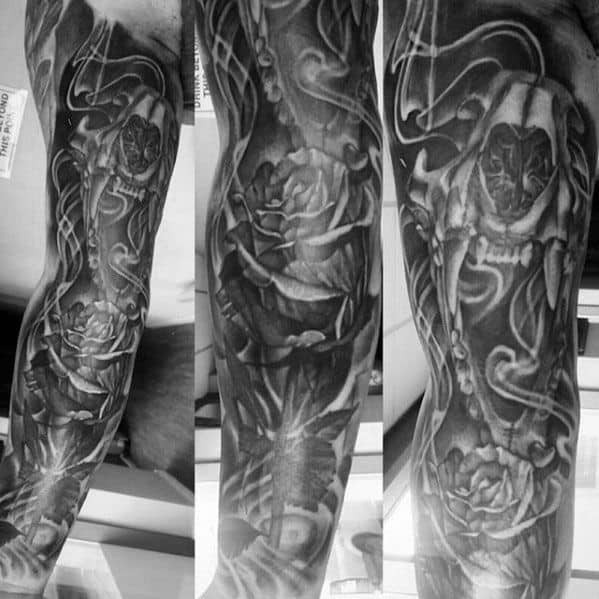 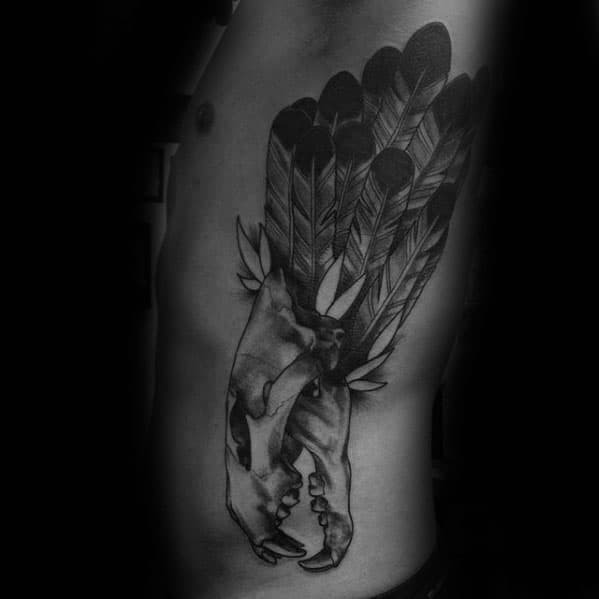 The decision to select a lion skull tattoo is one that speaks to the inner most core of someone’s character. 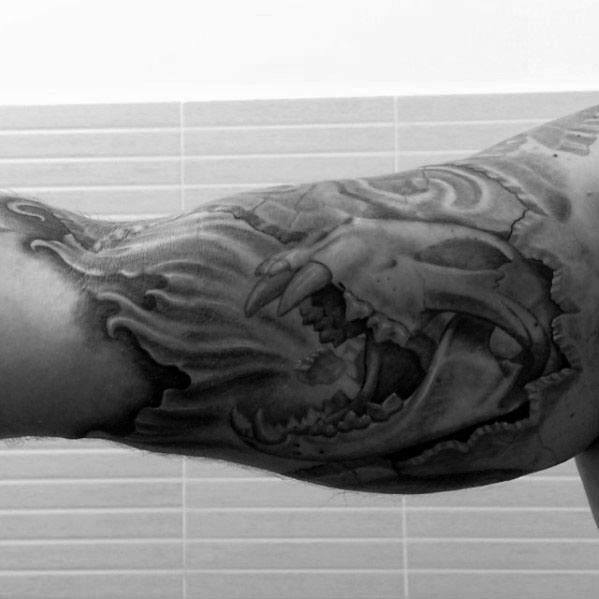 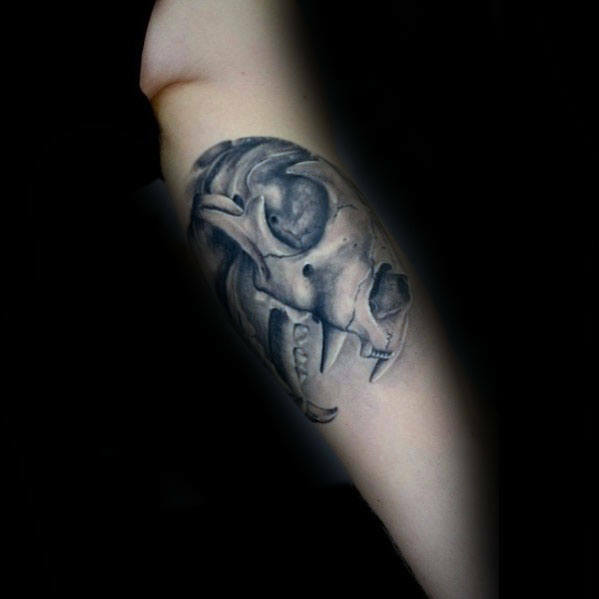 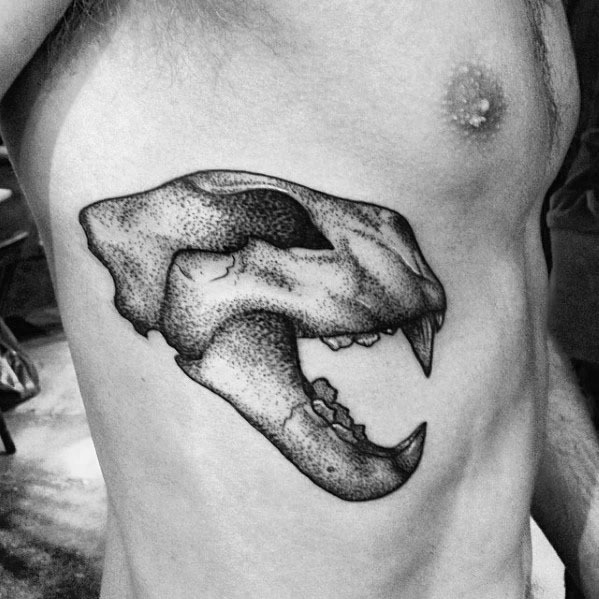 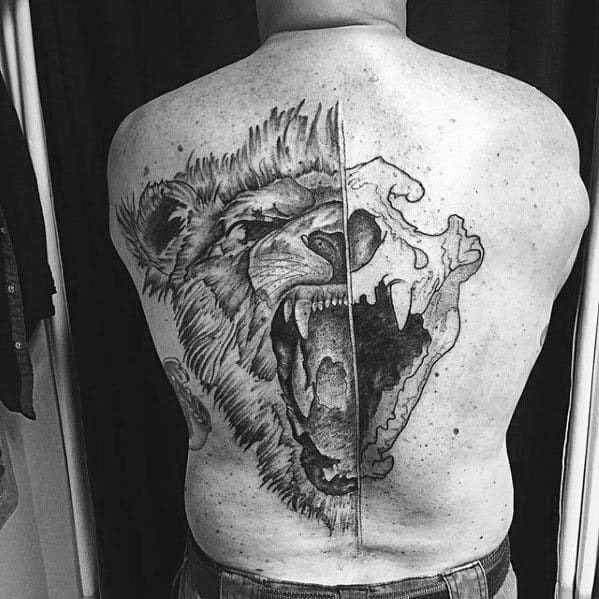 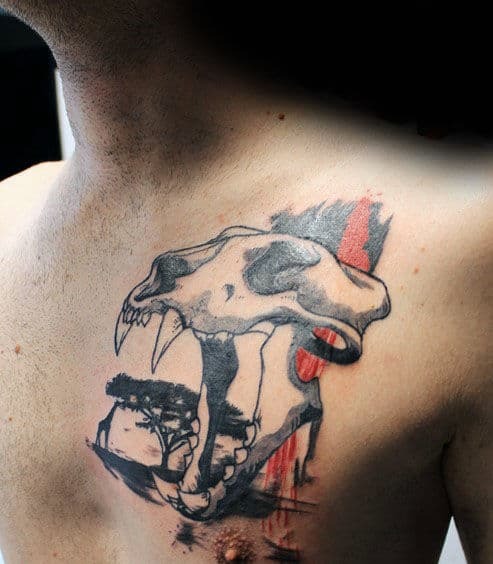 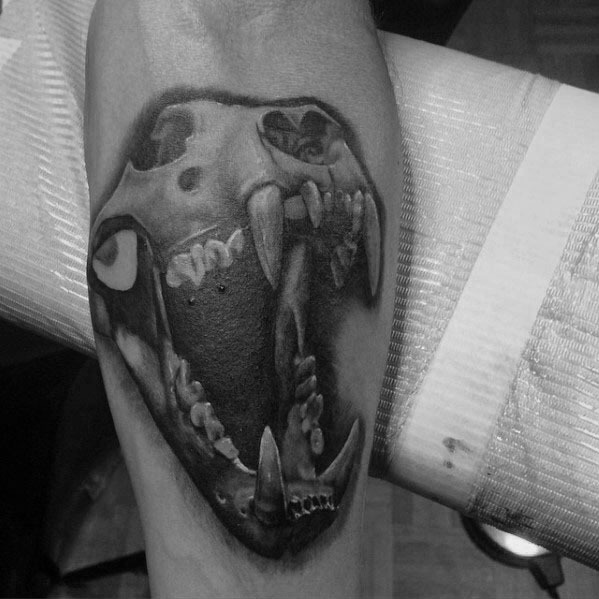 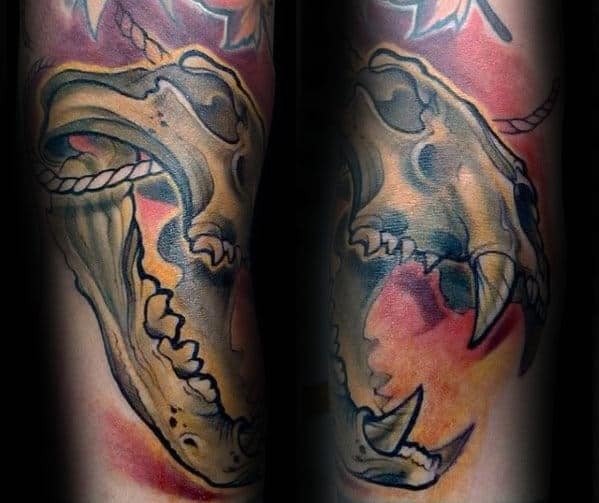 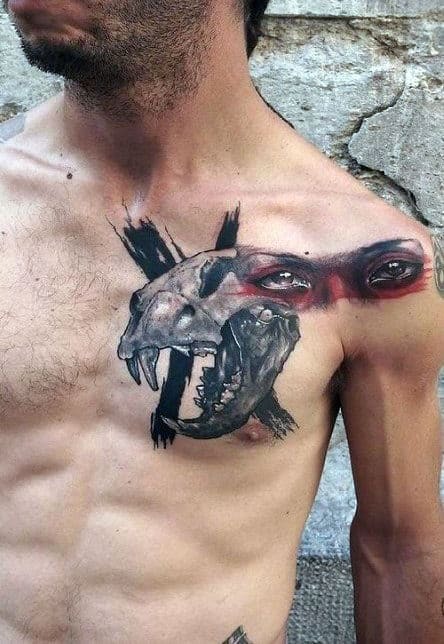 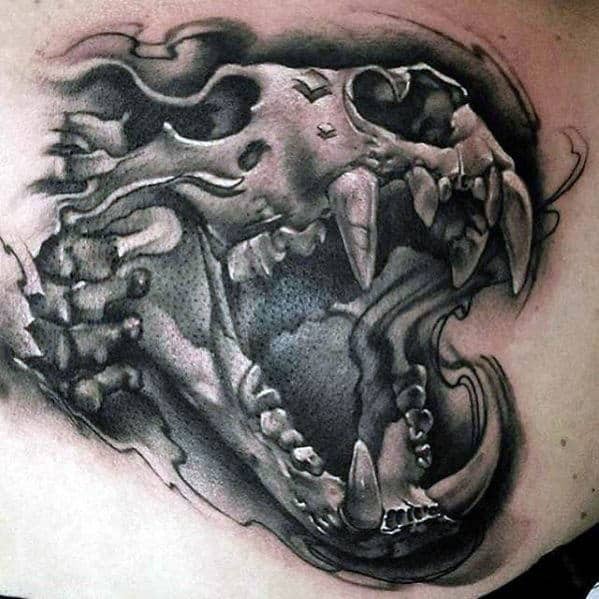 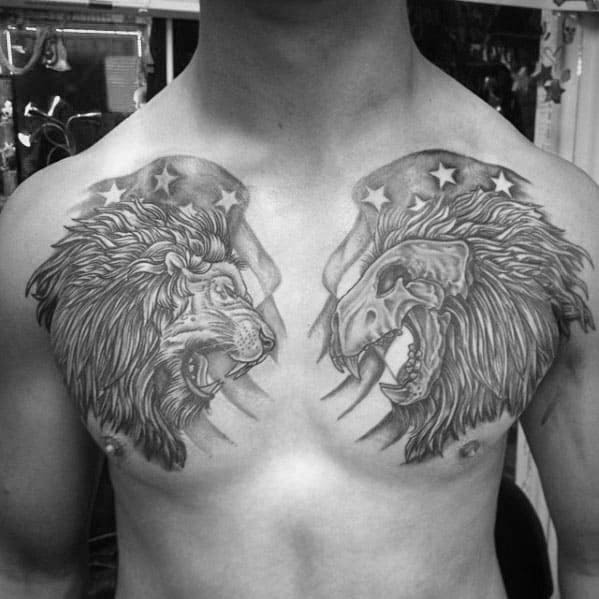 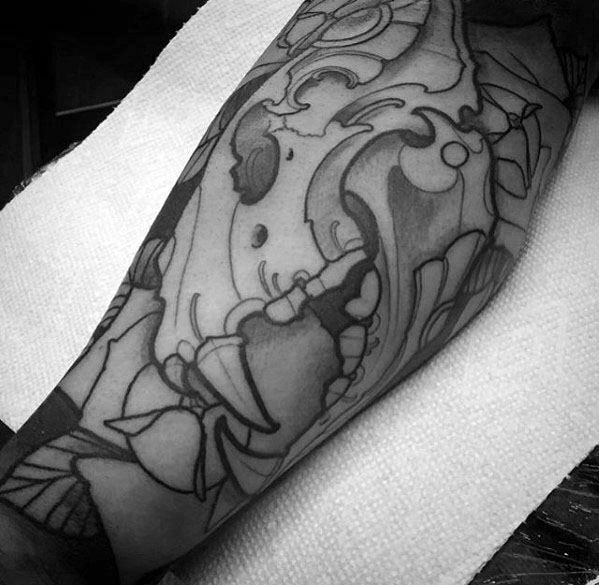 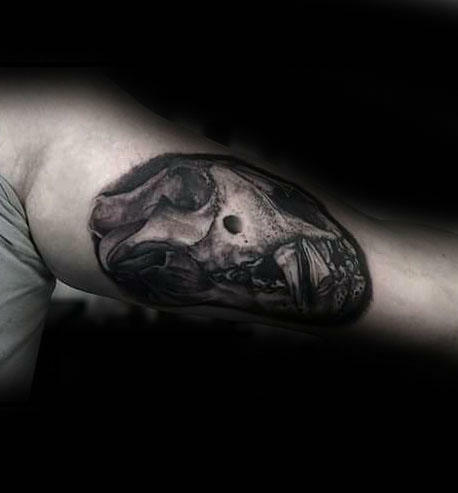 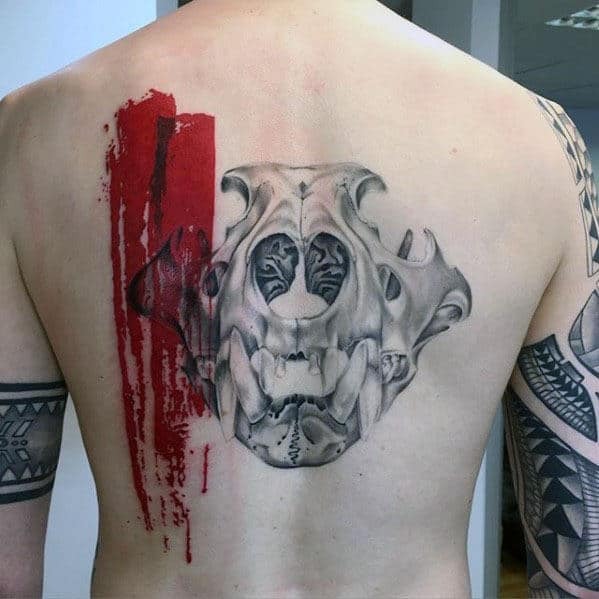 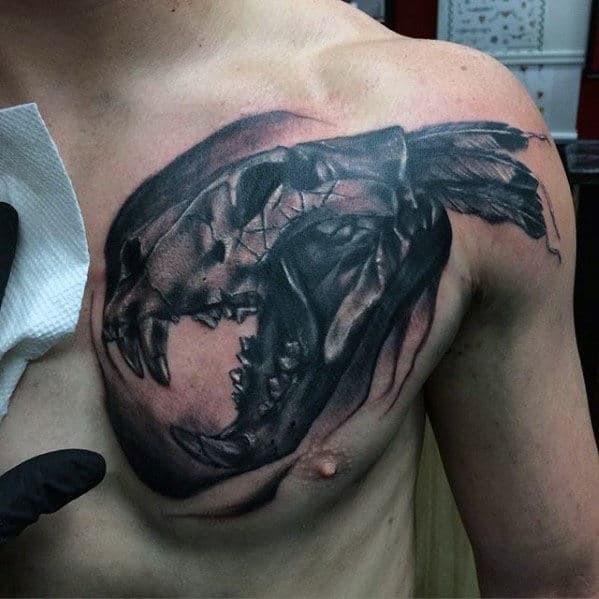 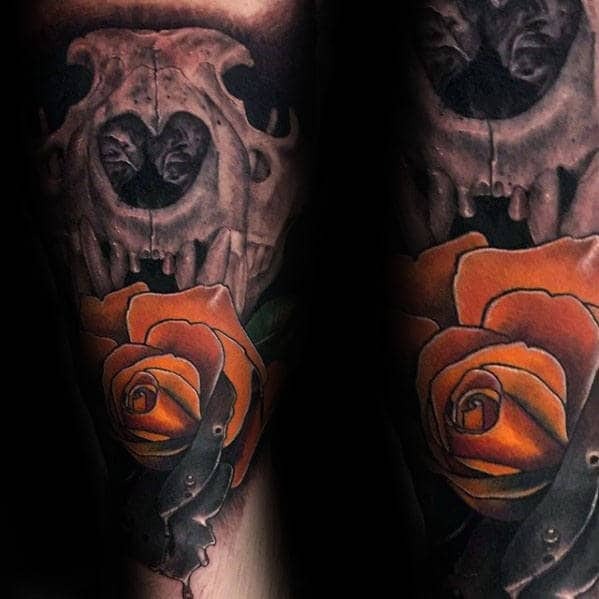 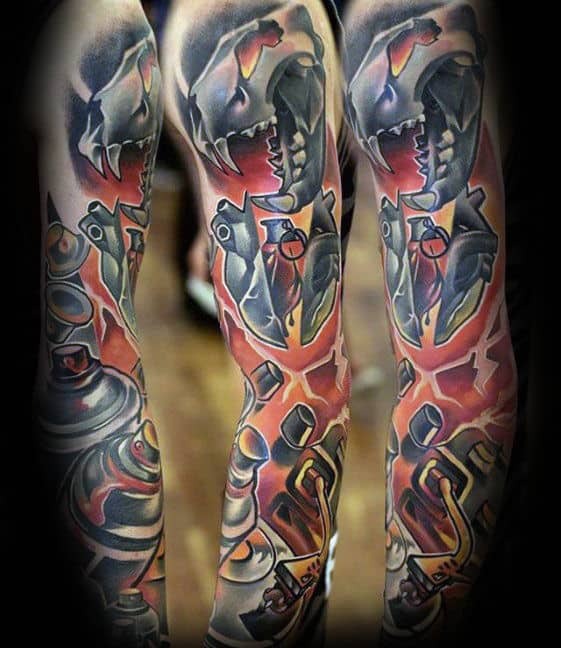 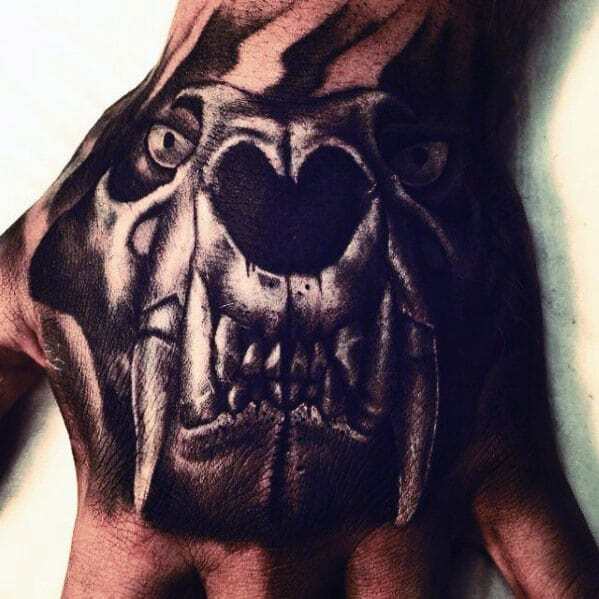 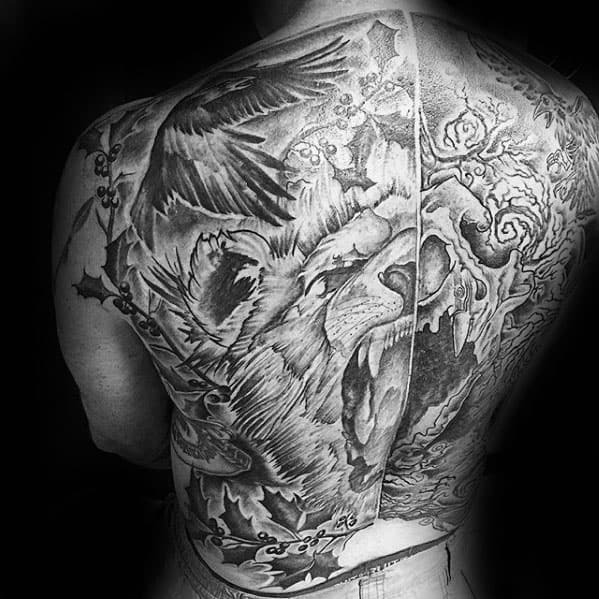 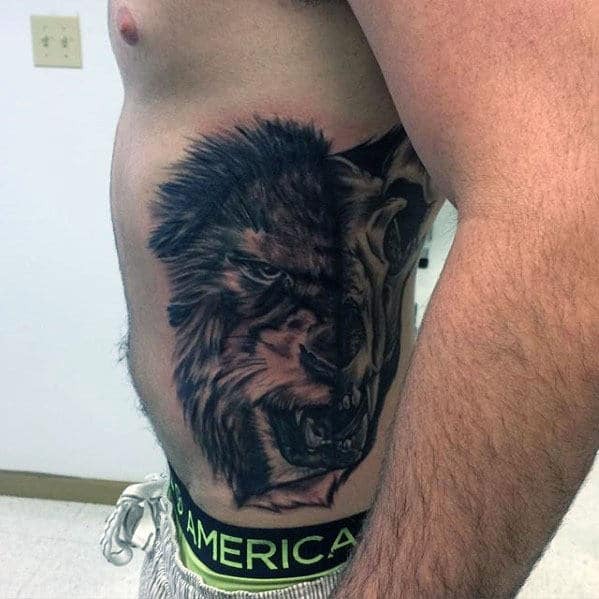 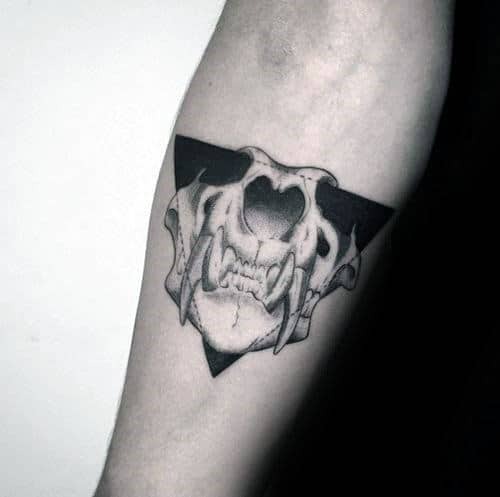 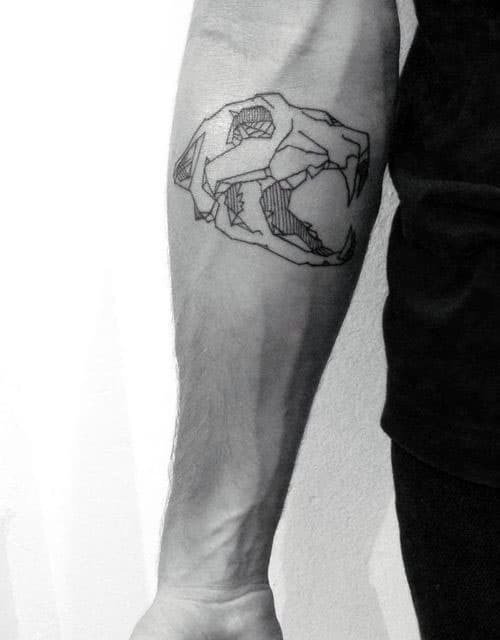 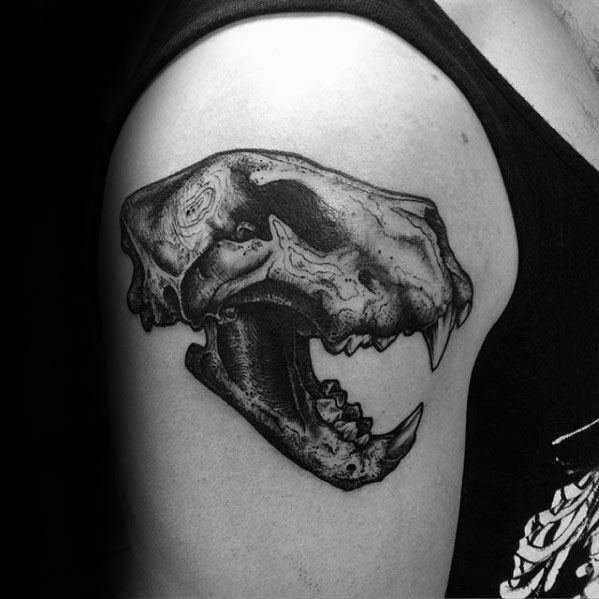 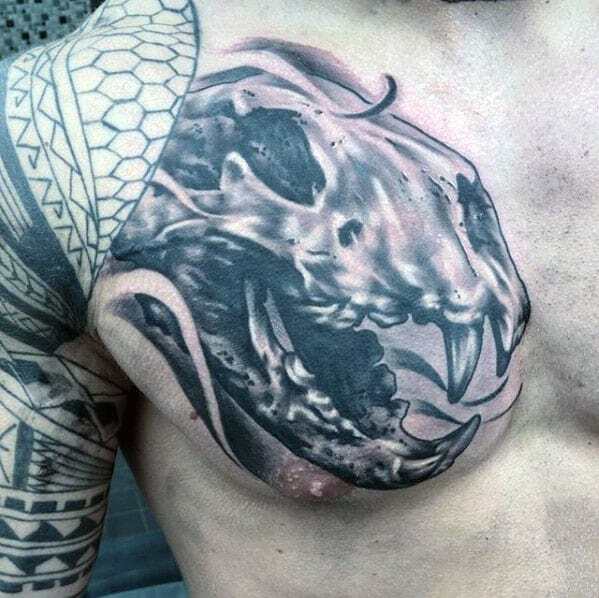 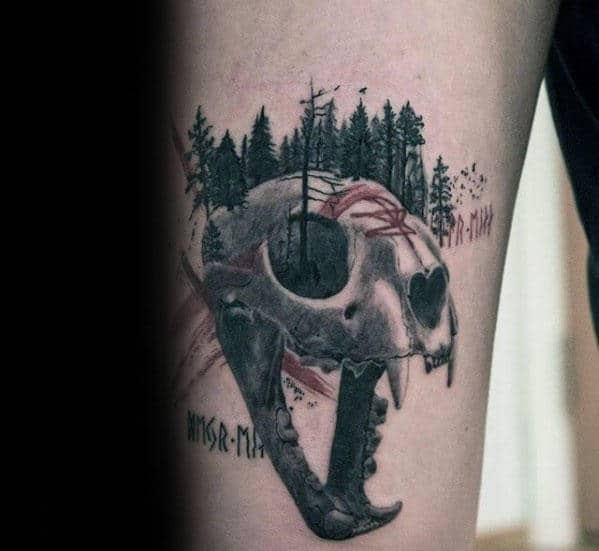 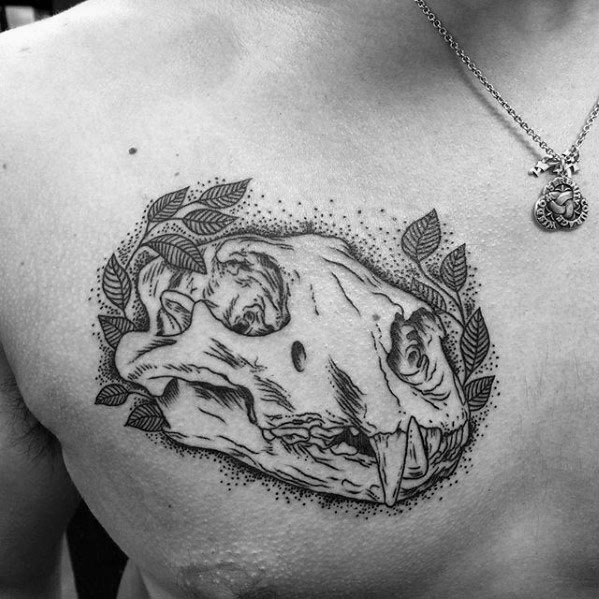 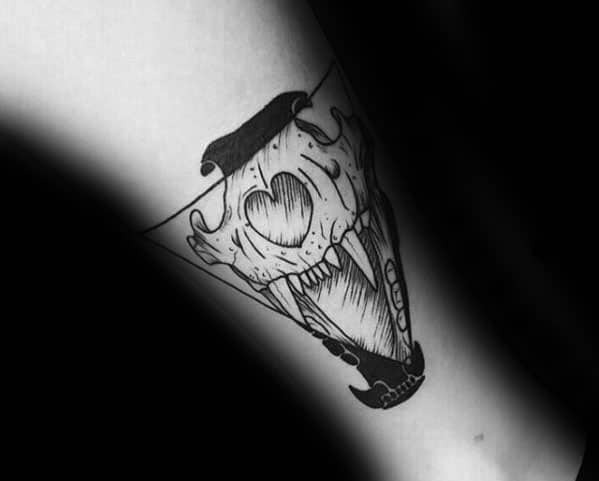 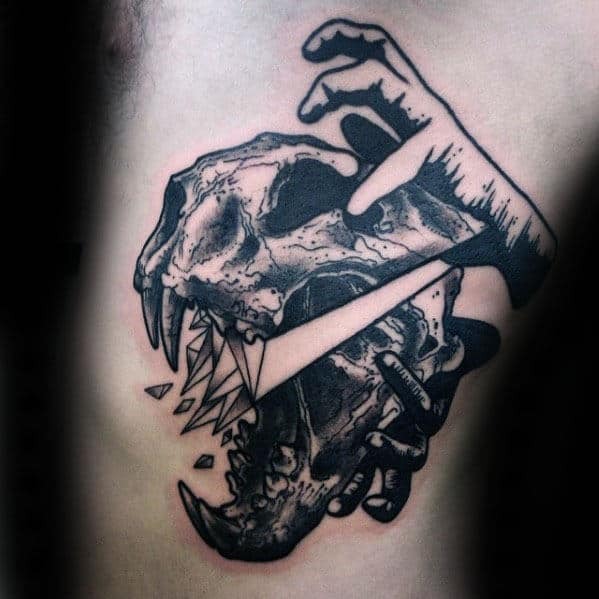 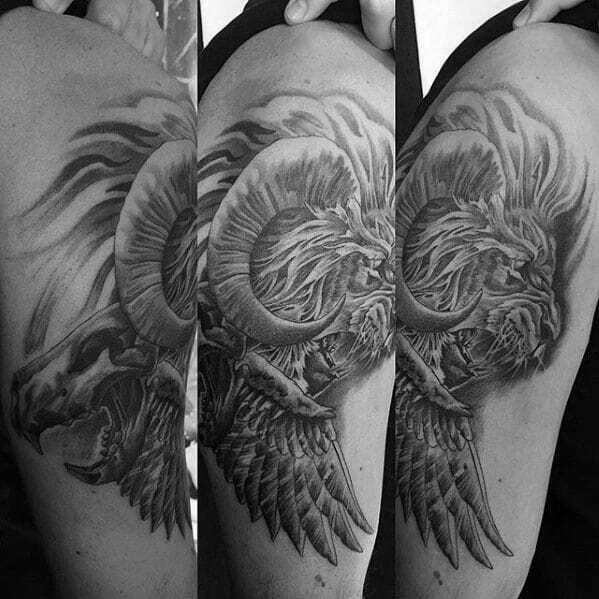 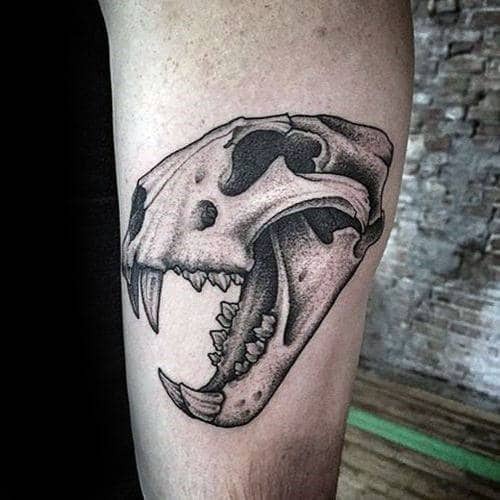 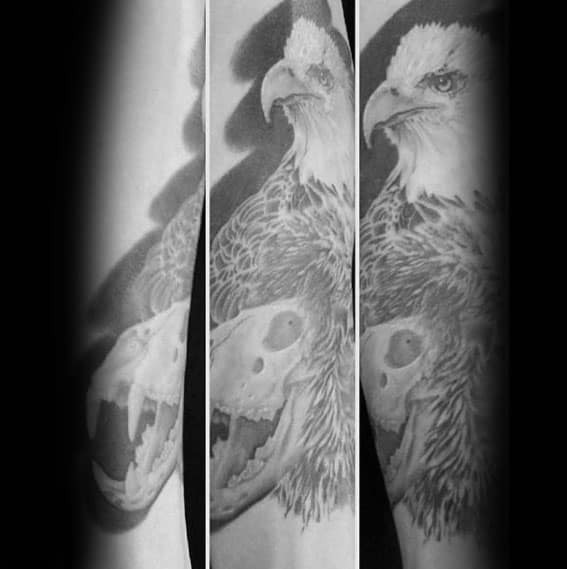 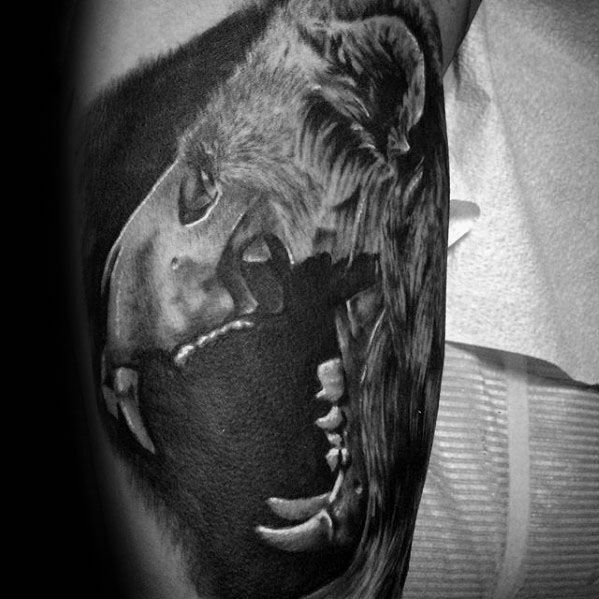 There are numerous ways to create an abstract or literal image of a lion skull for a tattoo, but they all have the same core meaning. 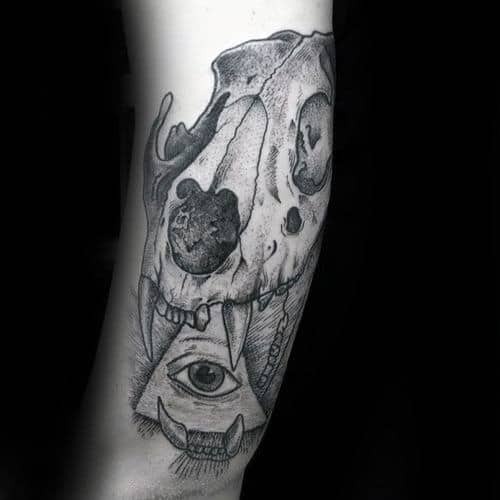 They represent an acceptance of the true nature of the world, and show that nothing is fully alive or fully dead.